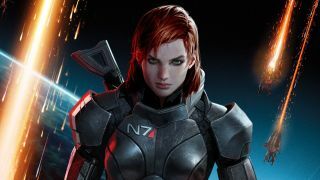 Casey Hudson and BioWare intend to return to Mass Effect 'at some point'. If you're wondering when we're getting a new Dragon Age game and whether Mass Effect will ever return to PC, BioWare's Casey Hudson has weighed in on that as part of a Game Informer cover feature on Anthem. There's not loads to go on, but Hudson offered a status update that fans of both series might find comforting. "I would say a majority of the people at BioWare are working on Anthem, but we do have people who are figuring out what a next Dragon Age would look like,” Hudson says. When asked about Mass Effect, Hudson said: "It’s my baby. I helped start Mass Effect from the beginning. Of course we intend to get back to it at some point." Myself and Tom explored what we'd like from a new Dragon Age last summer. Inquisition was released almost four years ago, and it sounds like we've still got a long wait ahead.